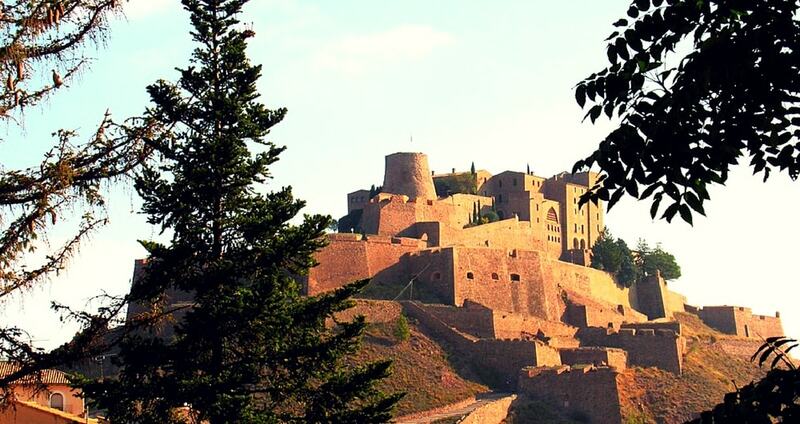 The Castle of Cardona is arguably the most important medieval fortress in the Principality of Catalonia. It is situated on a hill overlooking the river valley of the Cardener and the town of Cardona. The castle's main jewel is the torre de la minyona (from the 11th century) a tower which measures 15 metres in height and 10 metres in diameter. Additionally, there is the romanesque Church of Sant Vicenc de Cardona adjacent to the fort. The fort is currently used as a parador, a state-run luxury hotel. The movie, Chimes at Midnight, by Orson Welles was filmed at the castle in Cardona. Visitors claim that the food here is excellent as is the service and view. The patio on the top is an amazing place to take in some moonlight. The hike down to the town is the original path and is a fabulous stroll.